[Steem-Bounty] Steemmonsters' New Reward Cards... What Do You Think? 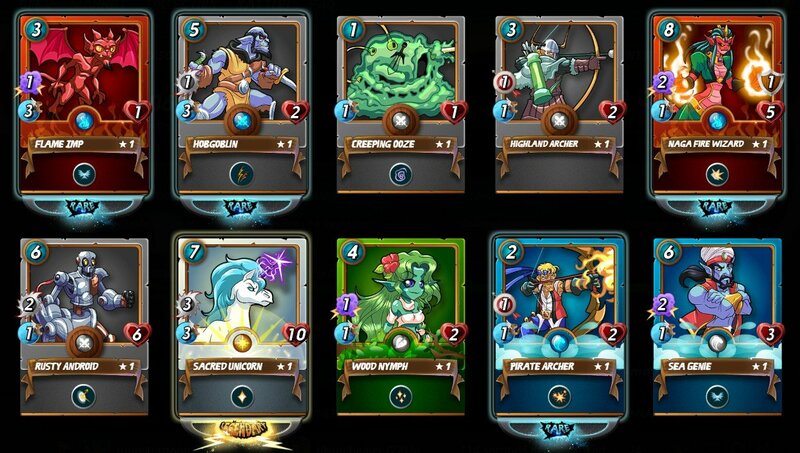 How do you feel about the new reward cards @steemmonsters is adding? Do you like them, or not - and why? Maybe you think there are too many, or not enough... Let me know! In the screenshot above, you see a part of the reward cards I earned today by completing my daily quest. What I like most about it is the variation. No more endless streams of Androids, Vampires and Sea Genies... what a relief. I think I have like 70 of each of those that don't fit in my decks anymore. I know, I can set them up for sale, but selling 70 vampires for $0.03 is just a little over 2 bucks. I think I'd rather give them away, then. The series above is a nice combination of old and new reward cards. Of course I'm excited there is a Sacred Unicorn in there. The card makes playing with the Life splinter a little more fun. I also like the Wood Nymph. She makes the Earth team even more powerful: two self-healers and 2 group healers will make it almost invincible. I also like the fact that she's only 4 mana, she can easily fit in a normal team. I haven't tried playing the Pirate Archer yet, but the blast ability for only 2 mana doesn't seem to be such a bad deal. And the Creeping Ooze... the fact that he's only 1 mana makes him priceless to me. I think I got my first one 2 days ago, and you can't imagine how many times I used him already. He opens so much more options when you're trying to set up a team and put all the available mana to good use. If you look at her stats, you can see she might become interesting when you level her up to 5. Still, I think 8 mana is a lot. And with 20 new reward cards coming into play, it is going to take a while before you gather enough cards to level her up. 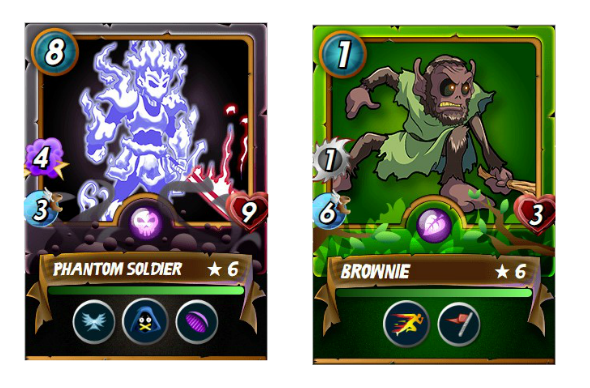 I haven't got the Brownie yet, but he looks quite powerful for a 1 mana card. I just wonder which level he needs to be to have the abilties that are shown on the above image of a maxed card. But I'm sure he will come in handy anyway. The Phantom Soldier, however... The Death splinter already has the Lord of Darkness as a high mana card, and I think I would prefer him over her. But time will have to tell. I do have the card, but haven't played it yet. So for now we've got 7, and there are 13 more to come. I assume variation will be guaranteed in the future. Don't get me wrong, this is a good thing. I don't think I could handle to open another 100 vampires and archers. But it will make it harder to get enough cards to level up. Even before this new series of reward cards was released, I often forgot about the Magic Sphinx and Hydra when assembling a team. They are tucked away down there in the bottom corner. This will get only worse when all 20 new reward cards have come into play. As you can see, I have mixed feelings about the new reward cards. I'm adding a 7 Steem @steem-bounty to this post. I'd like to hear how you feel about the new reward cards. What do you think the pros and cons are? How do you feel about the individual cards we have seen so far? I will reward all valuable comments with a small upvote. Once this post reaches payout, these comments will receive a share of the @steem-bounty. 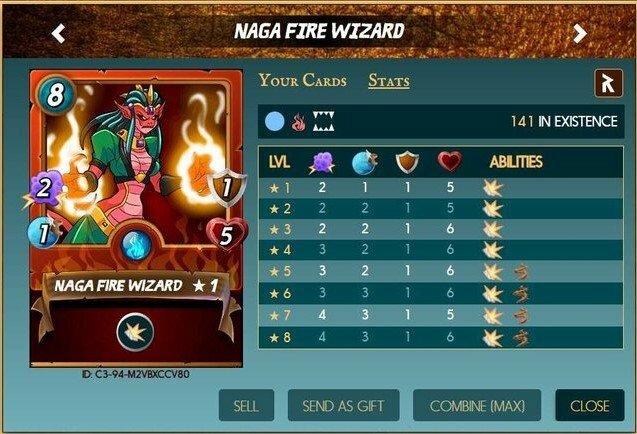 Want to join Steemmonsters? Click the banner below!